Our range of ready mix cellulose paint at excellent prices also we offer our mixing service to produce almost any colour in 1/2 ltr, 1 ltr or 5ltr containers. Cellulose British Standard Royal Blue Gloss Stock Range 5 Litre Size Mix 50/50 With Cellulose High Gloss/ Premium Thinner. Cellulose Bright Signal Yellow Gloss Stock Range 5 Litre Size Mix 50/50 With Cellulose High Gloss/ Premium Thinner. JAWEL Cellulose Ready Mixed Range: 1LT Ford Diamond White Gloss This paint requires thinning down 50/50 with cellulose premium thinner. Cellulose Ford Diamond White Gloss Stock Range 5 Litre Size Mix 50/50 With Cellulose High Gloss/ Premium Thinner. Cellulose Ford Frozen White Gloss Stock Range 5 Litre Size Mix 50/50 With Cellulose High Gloss/ Premium Thinner. 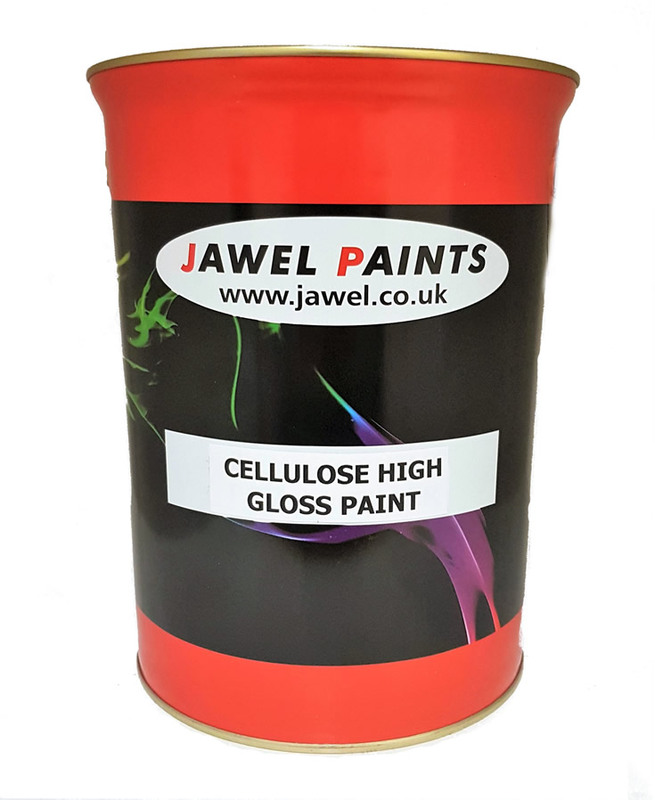 JAWEL Cellulose Ready Mixed Range: 1LT Ford Radiant Red Gloss This paint requires thinning down 50/50 with cellulose premium thinner. Cellulose Ford Radiant Red Gloss Stock Range 5 Litre Size Mix 50/50 With Cellulose High Gloss/ Premium Thinner. 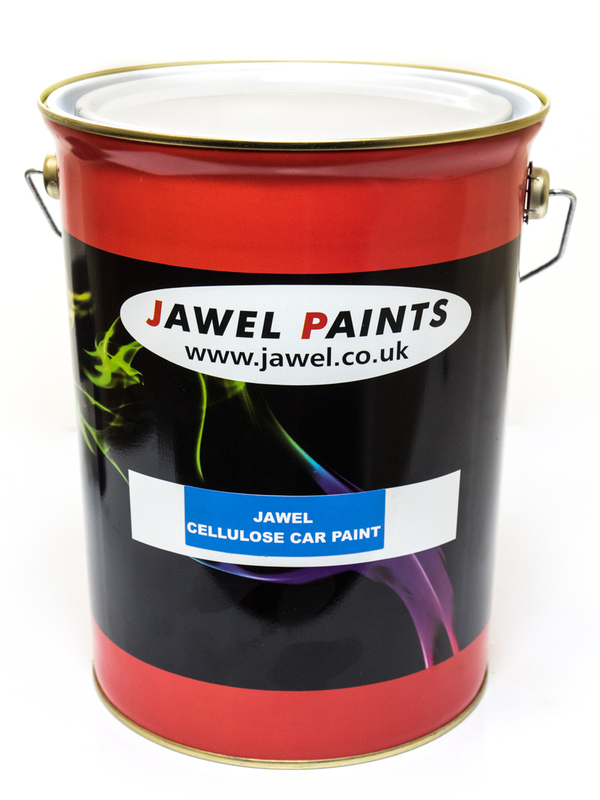 JAWEL Cellulose Ready Mixed Range: 1LT Matt Black No Gloss This paint requires thinning down 50/50 with cellulose premium thinner. Cellulose Matt Black (No Gloss) Stock Range 5 Litre Size Mix 50/50 With Cellulose High Gloss/ Premium Thinner. Cellulose Pure White Gloss Stock Range 5 Litre Size Mix 50/50 With Cellulose High Gloss/ Premium Thinner. 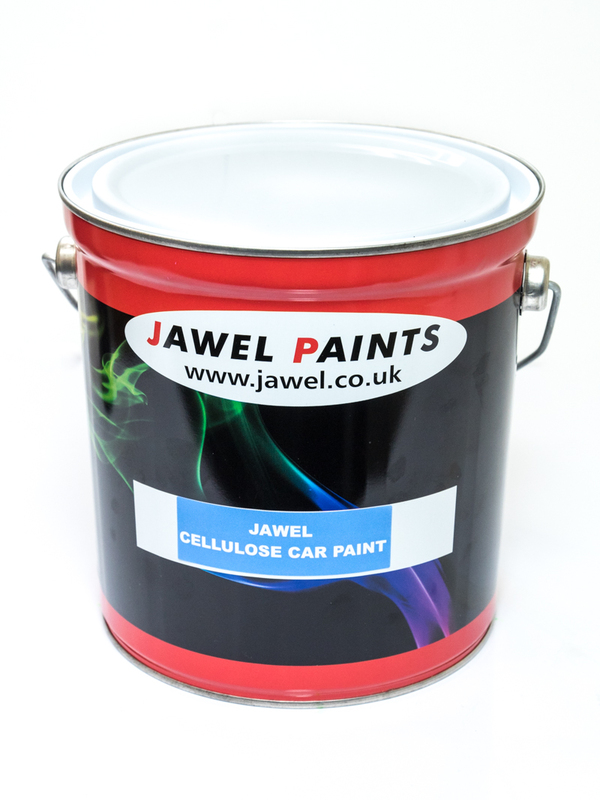 JAWEL Cellulose Ready Mixed Range: 1LT Pure Silver Metallic This paint requires thinning down 50/50 with cellulose premium thinner. Cellulose Pure Silver Metallic Gloss Stock Range 5 Litre Size Mix 50/50 With Cellulose High Gloss/ Premium Thinner. Cellulose Satin Black Semi Gloss Stock Range 5 Litre Size Mix 50/50 With Cellulose High Gloss/ Premium Thinner. 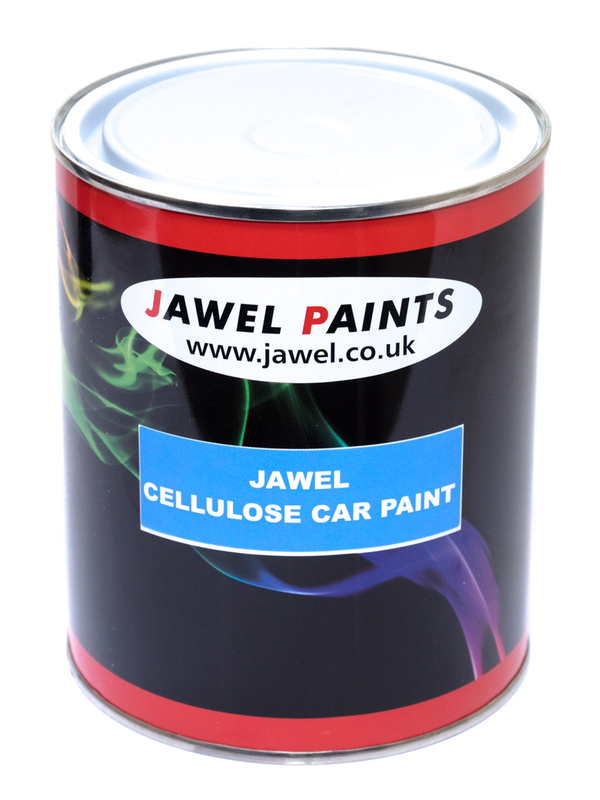 JAWEL Cellulose Ready Mixed Range: 1LT Super Black Gloss This paint requires thinning down 50/50 with cellulose premium thinner. Cellulose Super Jet Black Gloss Stock Range 5 Litre Size Mix 50/50 With Cellulose High Gloss/ Premium Thinner.